At the Better Lives seminar last night hosted by Psychologist Carolyn Mair at London College of Fashion, I gave a talk – the usual stuff…All Walks and our belief that people working in Fashion could begin to understand the psychological impact our industry capable of making. I argued that YES Design, Product and Fashion messaging REALLY is powerful enough to help us build Better Relationships with ourselves. As proof I presented the first random 100 answers to our Diversity NOW! question which has been completed by around 400 students. Diversity would do wonders for my self-esteem. I would be more likely to engage in self-acceptance and appreciate myself for who I am as I will be seeing others just like me all around. When you open any fashion magazine all you see are white women – where are the ethnic minorities? Are these women being considered as less beautiful? 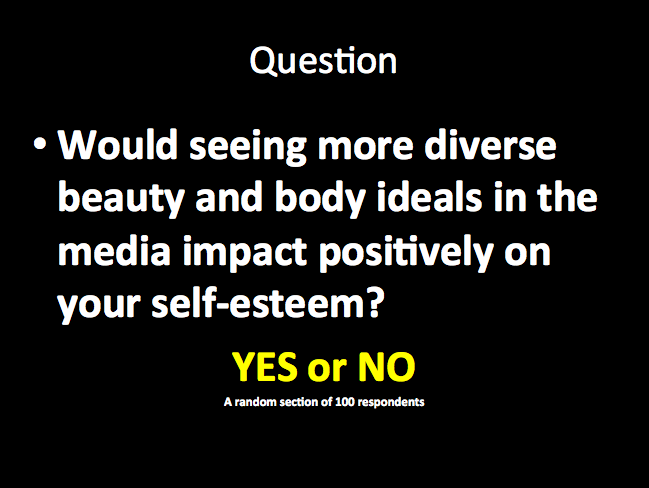 Diversity would create a positive impact towards my self-esteem. I am through with feeling like I am not good enough to succeed purely because I do not fit the cookie cutter image the media portray as beautiful. Yes because we are constantly challenged to look at ourselves and compare our looks with an unrealistic body ideal. We are bombarded with images of apparent perfection reminding us of our own imperfections, convincing us of the need to eliminate them in order to be considered beautiful. Models that have been airbrushed to perfection have left us all trying to achieve a level of beauty that is impossible to reach and maybe does not exist, yet we all still strive for it. 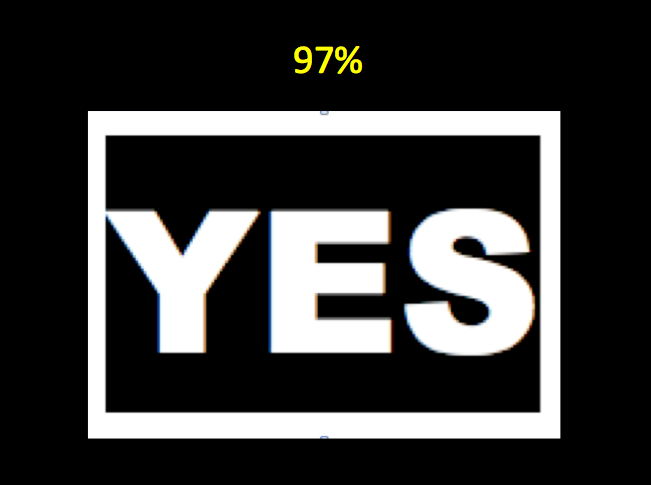 When it came to totting up the simple Yes or NO answers here’s what we found. Hmmm tempting to join the dots….so if the same people who feel realistic bodies would help boost self-esteem levels graduate and start making an impact within their field…we might just have some traction.